It looks like the dual-screened Meizu Pro 7 will have some jumbo-sized company when it launches. 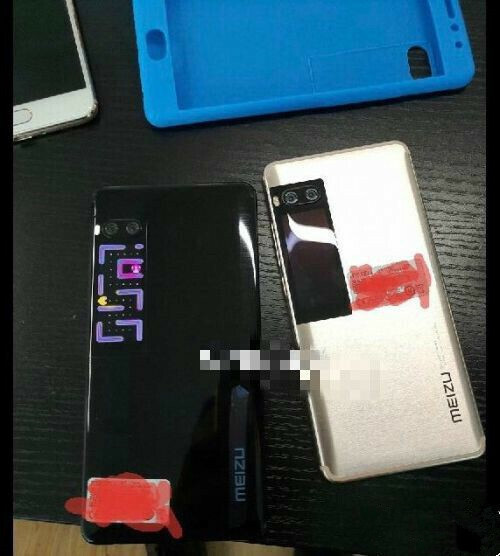 Among the new images leaking almost every day is one depicting a purported Meizu Pro 7 Plus next to the normal-sized handset. As expected, the Pro 7 Plus also has that much-talked-about secondary screen on its back panel. And, as you can clearly see, it's got full support for playing Pac Man as well. What glorious times we live in! In case you are wondering, the black handset on the left is, evidently, the Meizu Pro 7 Plus – it appears larger than the phone in silver (or gold) next to it, which is the regular Meizu Pro 7. Additionally, both smartphones sport dual cameras with dual LED flash, and carry the Meizu logo. All in all, the leak look highly credible. Reportedly, the Meizu Pro 7 Plus is to be powered by Samsung's fast and efficient Exynos 8895 processor, rather than the MediaTek Helio X30 chip which will reside in the regular Meizu Pro 7. However, we're pretty sure Samsung doesn't have the right to sell this particular chipset to third parties, as per an agreement with its silicon fabrication customer Qualcomm. Of course, there's always the possibility that the agreement has passed, or something else entirely has happened. We honestly wouldn't bet on that Exynos chip rumor, but who knows how things will pan out in the end! Alongside this interesting tidbit of information, rumored pricing for the handsets in China also leaked. The regular Meizu Pro 7 is said to cost around US $482, while the Plus-sized one will allegedly cost US $555. That's a bit pricey by Chinese standards, but Meizu is obviously looking to bank on that unorthodox – if somewhat gimmicky – secondary display. We'll be talking lots more about that and other Meizu Pro 7 features when the handsets are announced. With so many leaks being thrown around, it's bound to happen sometime soon. 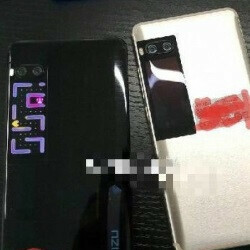 Meizu Pro 7 Plus pictured next to the Meizu Pro 7. Click or tap to enlarge. Jul 12, 2017, 4:40 PM, by Luis D.
Jul 03, 2017, 10:37 AM, by Luis D.
see this is it, making use of all that wasted space on the back. it's not on par with the yotaphone (if the 3 will ever come out! ), but it's still a step in the right direction. What's up with the naming scheme?